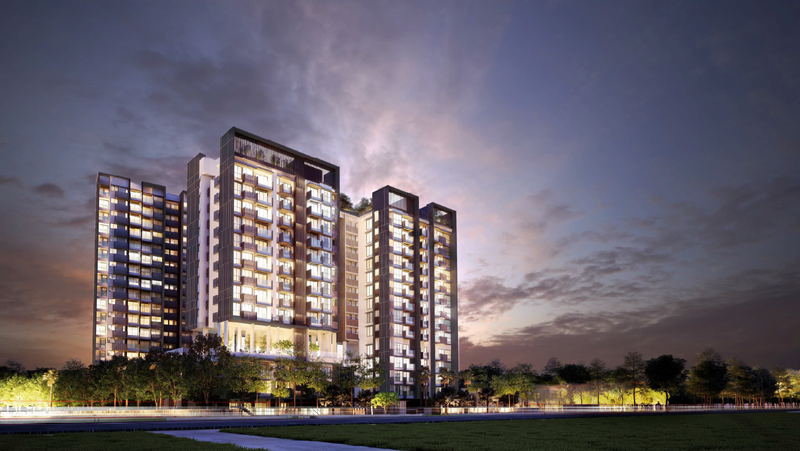 Trilive Condominium at Tampines Road is a residential development by RH Tampines Pte Ltd. Kovan is a highly sought after matured private residential area near city, with accessible amenities and affordable home prices compared to city area. 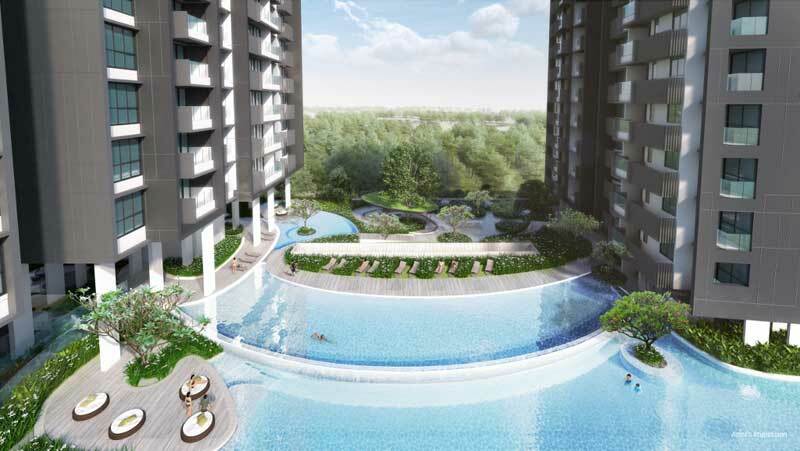 Trilive is a rare freehold condominium within Kovan vicinity as more freehold developments in the area are only apartment status. The condominium is located in a mature housing estate surrounded by amenities all within 3 to 5 minutes walk. Experience the heritage value within the Serangoon Heritage Corridor. Future residents can also enjoy shuttle bus service to Kovan MRT Station and Heartland Mall. Serangoon MRT Station Interchange and NEX Shopping Mall is only one MRT stop away. For family with school going children, there are many reputable schools within close proximity. 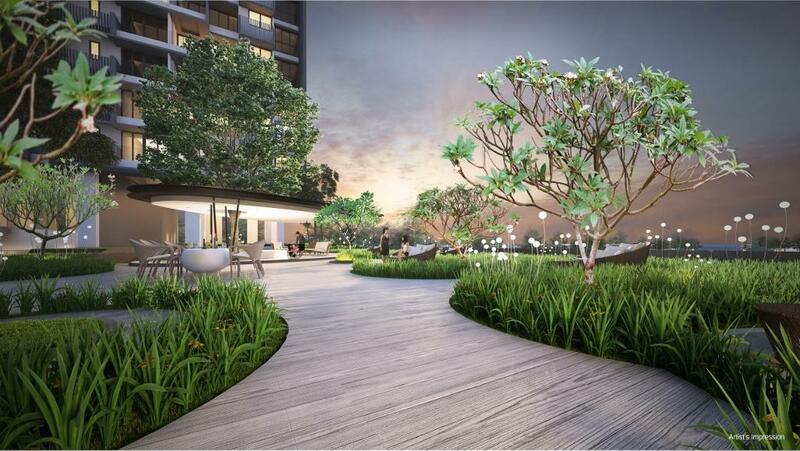 In the future, residents can look forward to more quality jobs closer to homes from the Defu and Lorong Halus transformation. Singapore’s iconic destination like Central Business District (CBD), Marina Bay Sands (MBS) and Orchard Road is only a short drive away. 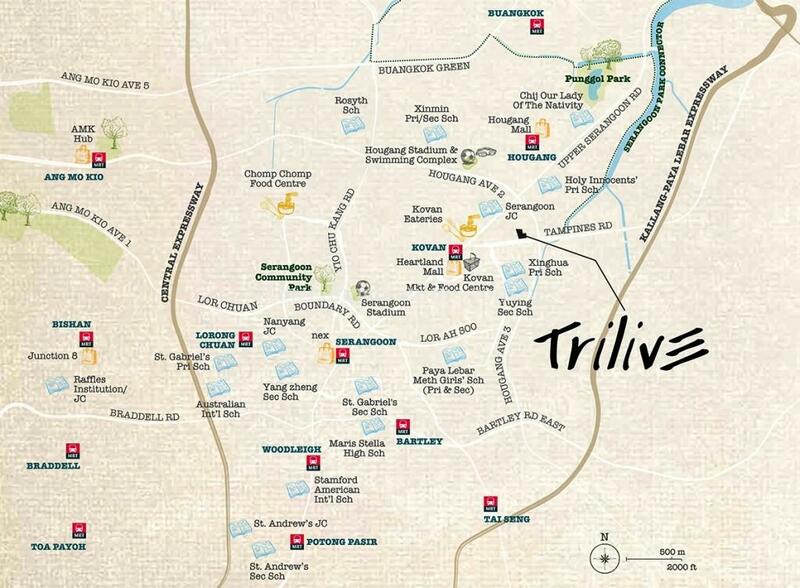 Trilive is situated on a large freehold land with condominium status beautifully designed with large forested landscaping. 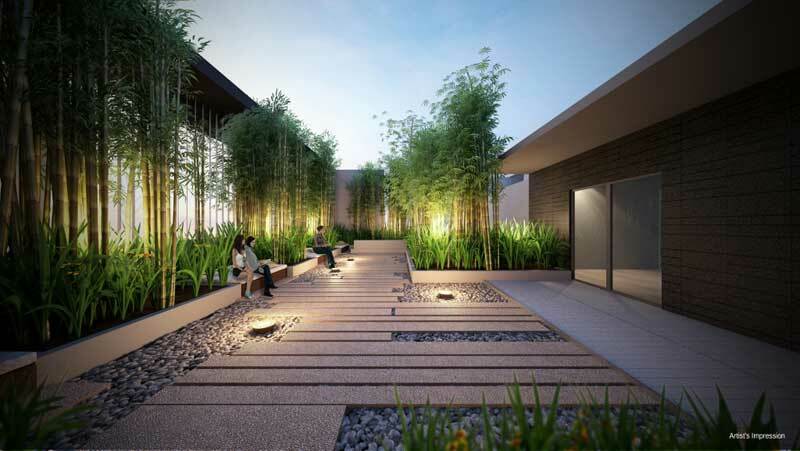 Beside having 3 levels of unprecedented facilities, the development also comes with aged-­‐friendly provisions such as abundant resting areas, non-slip flooring, handrails, visibility enhancements, and wheelchair accessible facilities are distributed across the recreational areas. There are also rare units with 2 exquisite master bedrooms which come with en-suite. For more information on Trilive, simply fill up your details below and our salesperson will get in touch with you shortly!